A little compassion can go a long way. Let your clients or team members know you’re thinking of them during difficult times with our collection of tasteful gifts to express your condolences. Losing a loved one is one of the most difficult experiences we go through in life – but showing you care doesn’t have to be. At CorporateGift.com, we’ve amassed a tasteful collection of corporate sympathy gifts to express your condolences during a colleague’s time of bereavement. From beautiful flower arrangements and gourmet fruit baskets to gifts of fine wine or pastries, we offer an elegant assortment of options to let your coworker, boss or business associate know you’re thinking of them during a time of grieving. 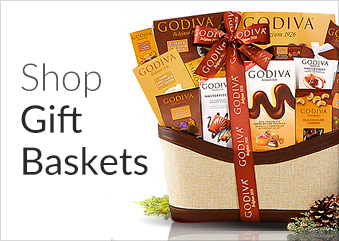 We proudly carry the finest selection of corporate gift baskets available, from well-loved brands such as Dulcet Gift Baskets, Fairytale Brownies, Gift Tree, Spirited Gifts, Silver Needle Tea Co., Palais Des Thés, Godiva and many more. 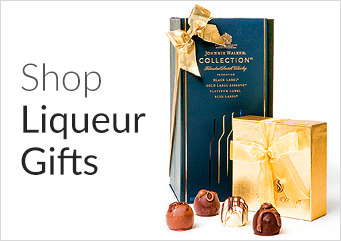 Convey your compassion to a favorite secretary, beloved manager or esteemed client with our hand-selected array of sympathy gifts – whether you’re looking for a basket of comfort food, fine spirits, chocolate towers or decadent snacks, you are certain to find the perfect corporate sympathy gift for any recipient. When you wish to send them the very best, CorporateGift.com offers sympathy gift options suitable for your business needs. Each of our premium gift baskets and gift sets may be personalized with a message, or contact us today and speak with our expert staff to assist you with your gift selection. From bespoke floral bouquets and tasteful tea gift sets, we can create a customized sympathy gift to express your condolences with style, grace and compassion.